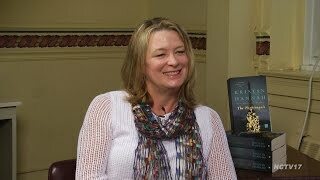 Description: Kristin Hannah (born September 25, 1960) is an award-winning and bestselling American writer, who has won numerous awards, including the Golden Heart, the Maggie, and the 1996 National Reader's Choice award. The Great Alone by Kristin Hannah https://www.goodreads.com/book/show/34912895-the-great-alone The Great Alone by Kristin Hannah Circe by Madeline Miller The Cruel Prince by Holly Black Educated by Tara Westover The Woman in the Window by A.J. Finn.